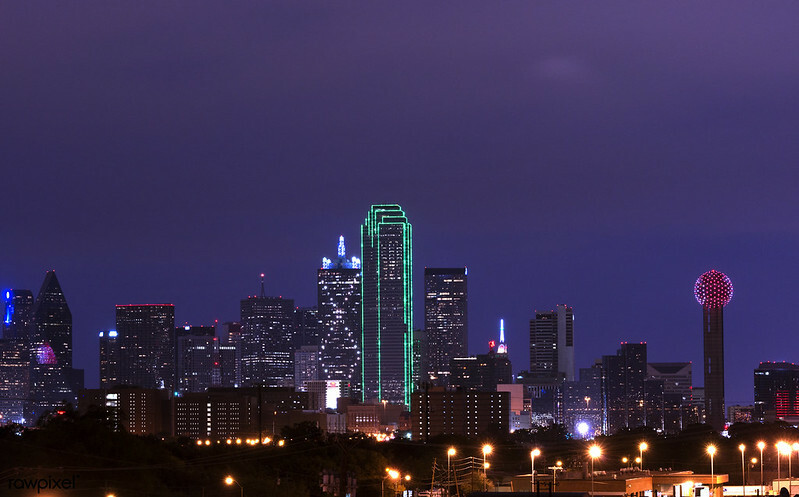 Skyline of Dallas, Texas, at dusk. Original image from Carol M. Highsmith’s America, Library of Congress collection. Digitally enhanced by rawpixel. Image published by Free Public Domain Illustrations by rawpixel on 2018-12-10 02:11:33 and used under Creative Commons license.